The Division of Chemical & Systems Biology (in the Department of Integrative Biomedical Sciences) bridges contemporary molecular medicine studies and the fields of biochemistry, chemical biology, synthetic biology and systems biology. 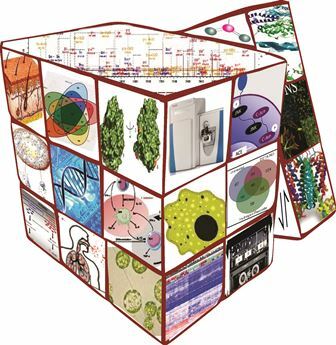 Our teaching, training and research combines physical, chemical, biological, synthetic, systems and biomedical concepts and techniques (including genomics, transcriptomics, proteomics, metabolomics & phenomics) to unravel the dynamic, complex cellular and molecular systems that underpin human disease phenomena. In particular, we utilise integrated, systems-oriented approaches to describe molecular mechanisms of disease and to develop molecular interventions to diagnose and correct them. In recent years, it has become increasingly clear that major components of health sciences and medicine internationally now rely ever more heavily on the iterative generation, analysis, modelling and translation of systems-level data, as well as on advances in synthetic biology. Such systems-based approaches are particularly powerful where there is tight integration and iteration between data-driven in silico models and data generating, model-driven molecular & clinical studies, such that coherent models of perturbed physiological systems and complex pathologies can be created and environmental influences on health understood.